We make no apology for publication of this outline of the rules and etiquette expected at our Golf Club as we feel it is our duty to ensure that the standards of dress and behaviour in the Clubhouse and on the Course are kept as high as possible. Making yourself aware of our rules will avoid any embarrassment to you or to the officials and members of the Club. For us, the ownership and maintenance of this Course and Clubhouse are a source of pride and pleasure. Naturally, we hope every golfer who plays here will enjoy our Course and facilities to the full. We believe that this guide, asking as it does for respect for the traditions and rules, as well as for the due consideration for other players, is appropriate and will be appreciated by all who enjoy the finest the game of golf has to offer. 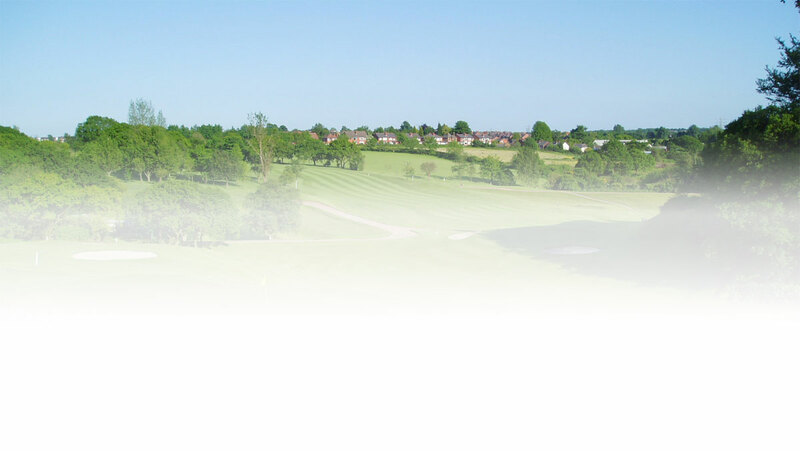 We trust that you will enjoy your visit to Dean Wood Golf Club. Please register at the Club Shop. Visitors are not allowed on the course without payment of green fees before commencing play, unless by prior arrangement with the Club Manager. We strongly advise that the organizer of the group collects payment from members of their party so that the booking-in procedure on arrival is simplified. Tee times must be booked in advance and the Club reserves the right to adjust starting times if visitors are late or numbers change. Male Visitors must play from the yellow tees and Lady Visitors from the black tees unless otherwise arranged with the Club Manager. The Men's Medal Tees (white markers) are reserved for Club Competitions only. It is the responsibility of the organizer to confirm the number in the group with the Club Manager at least seven (7) days prior to the day. In the unlikely event that circumstances prevent a booked visit from going ahead we will do our utmost to offer alternative arrangements which are acceptable to the visiting Society. We shall offer at least 3 alternative dates. In the event none of the dates we are able to offer are acceptable the arrangement will become null and void. In this circumstance we, or any service we use to handle bookings, will either hold the deposit in credit against a future booking or refund the deposit. A non-refundable deposit of £50 is required before a booking can be considered firm. In the event of the number attending on the day being less than the number originally booked, the fees payable for those that do arrive are the total fee agreed per head less the deposit paid. Deposits relating to no shows will not be refunded, however consideration will be given to last minute cancellations due to unavoidable circumstances. All players should be competent golfers and preferably members of a recognized golf club and possess a golf handicap. Handicap Certificates should be available for inspection. We request that all visitors are conversant with the etiquette of golf and avoid slow play. Most of our visiting parties play in four ball format (we do not allow four ball medal). We recommend that the organizers choose a format that encourages continuous play, as pace of play will be monitored. are raked, even if not yours. directional signs, which must be observed at all times. occasions trolleys, when adverse weather conditions prevail – possibly at short notice. 7. Litter is to be placed in the bins provided. Conventional golfing attire is expected at all times. Denim jeans, training shoes and prominently logoed shirts are not permitted on the course. Shirts shall be "tucked in". Shorts, if worn, should be tailored and worn with predominantly white sports socks. Dress in the Clubhouse should be, at least, of the type normally acceptable on the golf course. Golf wear is permitted in the Clubhouse, but any waterproof clothing (jacket/trousers/hats) must be removed and left either in the locker rooms or in the cloakroom. Smart casual dress (not denim) is permitted in all areas of the Clubhouse at all times. Jackets, collars and ties are preferred in the dining area in the evening. No jeans, combats, track suits, trainers, flip-flops or caps are to be worn. Sports bags and all other golf equipment are not permitted in the Club lounge or bar area. Golf clubs should not be taken into the Clubhouse lounge areas. Arrangements should be made at least seven (7) days prior to your visit. We would point out that meal cancellations within 3 days of the visit must be paid for. You may make and receive calls on mobile telephones in the Reception, Patio & Car Park areas only. They are not permitted in other areas of the Clubhouse or on the course. All mobile telephones must be switched to either mute or vibrating modes and may only be used in the permitted areas except for emergency. The Club does not accept any responsibility for security of vehicles or equipment. We request that organizers ensure that all members of their party are familiar with the conditions stated above, and that respect is shown to our staff and facilities at all times. The golf club does not accept responsibility for articles damaged, lost or stolen on the club premises. All players are responsible for damage or injury they cause to any third party and are advised to carry their own insurance cover. On behalf of all the members and staff at Dean Wood Golf Club we hope that you will enjoy your day with us and that you will look to return in the not too distant future. PLEASE NOTE: Conditions for Visitors may change without notice.